Greetings! Sorry for the long delay in blog posts, we were hit with a website issue right before Spring Fling and unable to get it worked out until now. 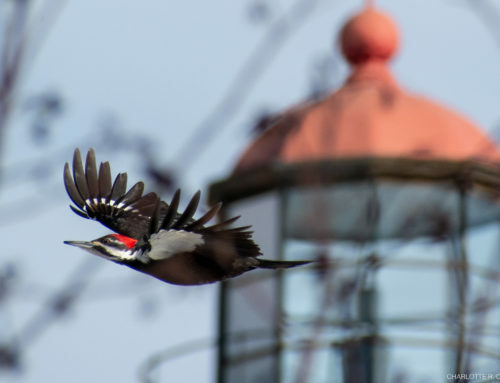 Spring Fling was a good old time; it was great to connect with all our birder friends new and old. It would have been nice to have better weather, but I suppose that’s not the kind of weather that brings in Snowy Owls to sit on the tip all day! 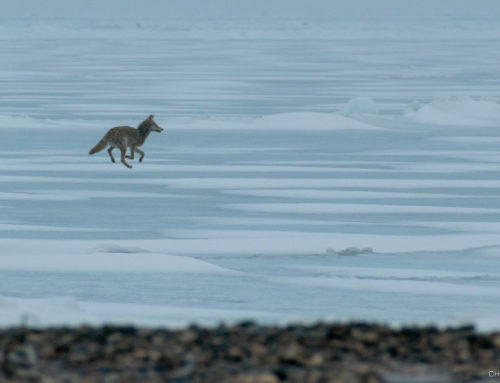 But the back of winter is finally breaking, small ponds and marshes are finally thawing, snow is mostly restricted to dense woods or large drifts, and today notwithstanding, the big lake is mostly ice free. Early spring signs in the last few days include Compton Tortiseshell butterflies (first seen on the 22nd! ), Green Darner and Least Chipmunk. 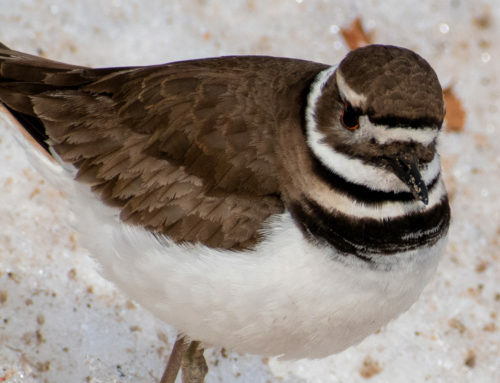 And now there are a lot of birds to report, so let’s get down to the brass tacks and review the last two weeks. CANADA GEESE had a two decent flight days with 382 on the 22nd and 312 on the 26th. A pair of TUNDRA SWANS were observed flying over the lighthouse on the 1st. Also recorded on the 1st were AMERICAN WIGEON, NORTHERN SHOVELER, NORTHERN PINTAIL, and GREEN-WINGED TEAL . 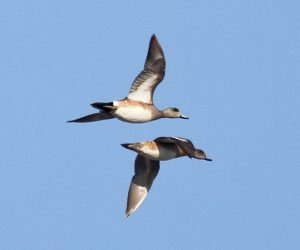 A touch on the early side were a pair of BLUE-WINGED TEAL on the 24th and the first RING-NECKED DUCKS were seen on the 23rd. Our peak so far for COMMON LOON was 56 on the 28th, and the only RED-THROATED LOON of the season so far was observed on the 29th. HORNED GREBES were first recorded on the 24th, and RED-NECKED GREBES appeared on the 2nd. 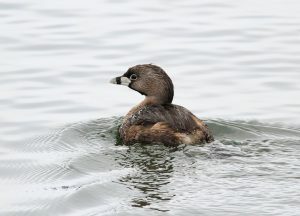 Despite being a common breeder in the area, the discovery of a PIED-BILLED GREBE in the harbor on the 24th was a good Point bird. 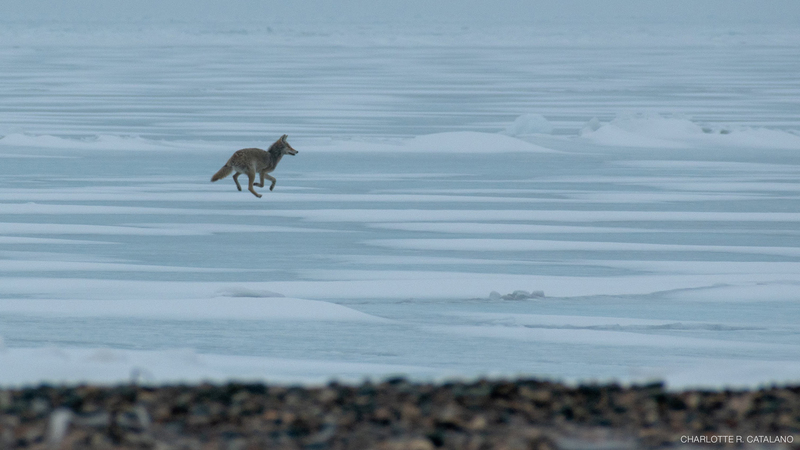 SANDHILL CRANES continued their recent annual trend of staging a multi-day flight of a several thousand birds moving past Whitefish, with 4,583 from the 27th-1st, with a peak flight of 1,551 on the 29th. An early SORA was kicked up in a swale on the 1st. PIPING PLOVER was first recorded on the 30th, but must have been just a passing migrant as there are no resident plovers back yet. A small handful of GREATER YELLOWLEGS have been recorded with the first sighting on the 22nd. WILSON’S SNIPE flew past the deck on May 1st. An ICELAND GULL flew past the Hawk Deck on the 22nd, and there have been a few GLAUCOUS and GREAT BLACK-BACKED GULLS observed. And wrapping up waterbird observations was our season’s first CASPIAN TERN on the 1st. 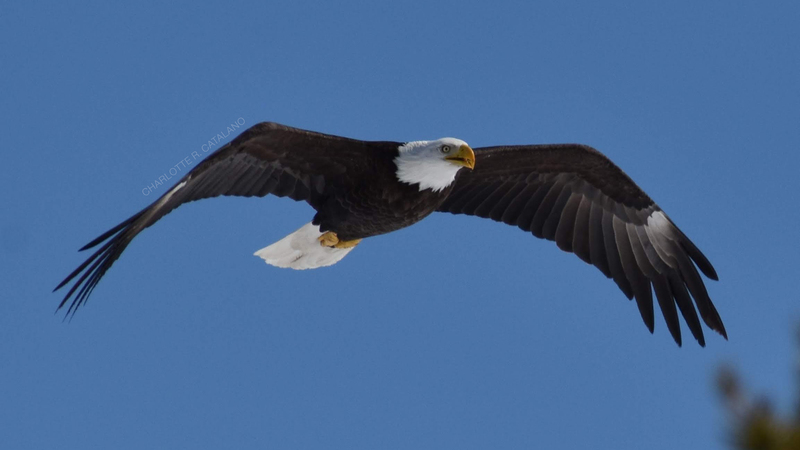 After a long fallow period, the Hawk Count finally woke up on the 21-22nd of April with our peak flights of BALD EAGLE (36) and RED-TAILED HAWK (133). Making a record late appearance on the count, SHARP-SHINNED HAWK was not recorded until the 19th, where they tried to make up for lost time with 880 on the 1st. Another record late appearance was COOPER’S HAWK with 1 on the 29th. NORTHERN GOSHAWKS seem to be winding down, but we still have an occasional decent day for them with 5 on the 22nd and 4 on the 30th. Also record late for the Hawk Count was NORTHERN HARRIER being first recorded on the 21st with a peak of 56 on the 29th. 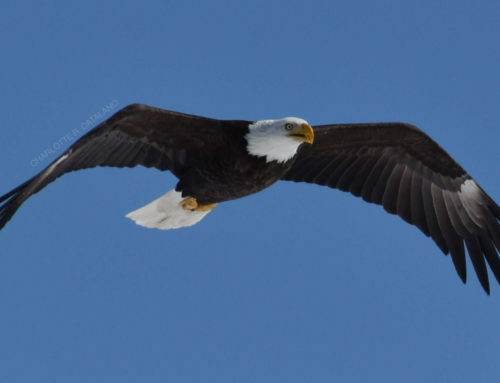 GOLDEN EAGLES continue to trickle by with a peak of 9 on the 20th, while the first OSPREY of the season occurred on the 24th with 9 as a peak on the 29th. As expected for a long-distance migrant from the neotropics, BROAD-WINGED HAWK was right on schedule with the first sighting occurring on the 22nd. One of the best Broad-winged days I’ve ever had here at Whitefish occurred on the 1st, when 1,800 were recorded at one time! With them was a dark-morph SWAINSON’S HAWK right over the deck! 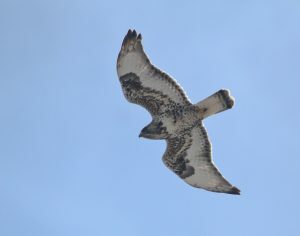 The stars of the recent week however have been the amazing ROUGH-LEGGED HAWK flights. Owl Blog for more detailed notes on the banding results here. 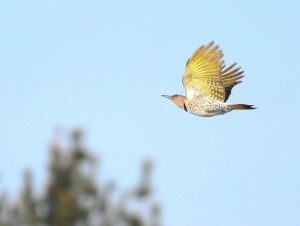 The migrant woodpeckers have shown well lately with 10 YELLOW-BELLIED SAPSUCKER observed in Morning Flight on the 21st, while NORTHERN FLICKERS have had several good days with 156 recorded on the 1st. 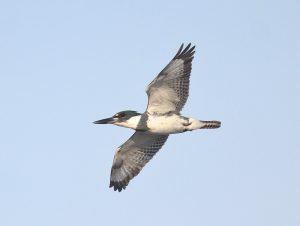 WHIP-POOR-WILL returned early the morning of the 1st, and likely a by-product of the inland bodies of water being frozen, a robust BELTED KINGFISHER migration has been noted in the last couple of weeks with a peak of 17 on the 22nd! EASTERN PHOEBE was first observed for the season on the 22nd, and shockingly early was a GREAT CRESTED FLYCATCHER on the 1st. Looking like it will be the only one for the season, a NORTHERN SHRIKE was observed on the 18th. Returning swallows include TREE on the 22nd, BARN on the 23rd, CLIFF on the 30th and NORTHERN ROUGH-WINGED on the 1st. Not quite annual to Whitefish Point, and seen more often in the fall than spring was an exciting observation of a TOWNSEND’S SOLITAIRE migrating past the Hawk Deck on the 23rd. 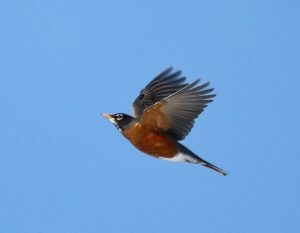 AMERICAN ROBINS have been the bulk of morning flight passerines lately since finch numbers dropped off, with a peak of 624 on the 22nd. A few HERMIT THRUSHES and EASTERN BLUEBIRDS have been our only other thrush species seen so far this season. The first AMERICAN PIPITS were observed out at the waterbird shack on the 30th. Very scarce this year have been BOHEMIAN WAXWINGS with a scattered sightings of small numbers from the 21st-27th. MYRTLE WARBLERS were first recorded back on the 22nd, with our first decent push of them on the 1st of May. The 1st also recorded 4 other species of warbler that day, with BLACK-AND-WHITE , NASHVILLE, PALM and PINE WARBLERS all observed. Early CHIPPING and SAVANNAH SPARROWS on the 22nd actually beat the AMERICAN TREE SPARROWS back for a returning arrival date, which appeared on the 24th, along with WHITE-THROATED and VESPER SPARROWS. 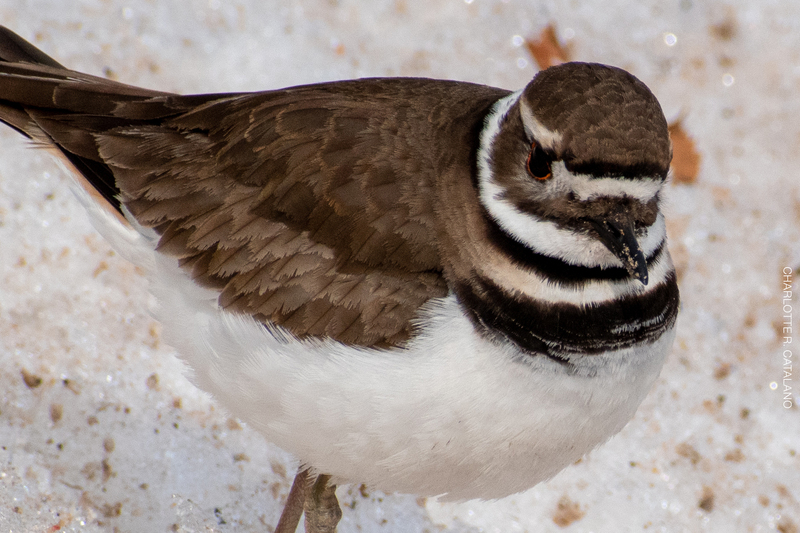 WHITE-CROWNED SPARROWS showed up on the 1st. Another May Day surprise was an adult BALTIMORE ORIOLE that flew past the Hawk Deck! I’m still trying to suss out if this is a new record early date for this species. Like robins, various blackbird species have been staging great flights past the hawk deck on mornings of calm or southerly wind conditions. 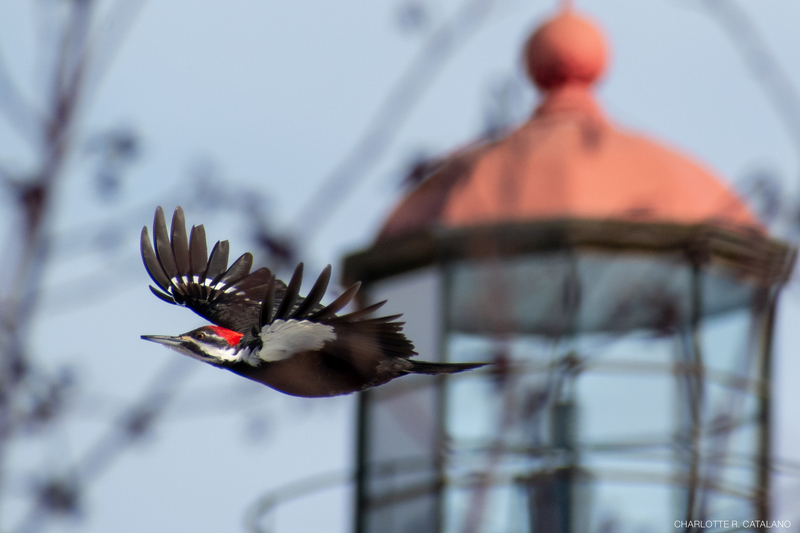 A particularly good movement occurred on the the 1st of May with 136 RED-WINGED BLACKBIRDS, 69 BROWN-HEADED COWBIRDS, 232 RUSTY BLACKBIRDS and 389 COMMON GRACKLES. A late PINE GROSBEAK was last recorded on the 22nd, and COMMON REDPOLLS have been down to just a few individuals and not seen every day in the last week. Increasing rapidly have been both PURPLE FINCHES, PINE SISKINS and the first few AMERICAN GOLDFINCHES have recently been seen. And there are still scattered numbers of RED & WHITE-WINGED CROSSBILLS still moving by, though the Reds certainly outnumber the White-wings and can also be found in nearby pine woodlands and jack pine plains. EVENING GROSBEAKS were first detected on the 21st, and should increase over the next couple of weeks. 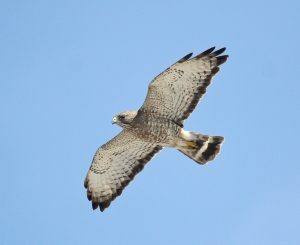 For more detail on the count numbers please visit our count pages at Dunkadoo for the totals and the live data stream for the Hawk Count here, and the Waterbird Count here.